This club is basically formed to enhance skill level of student other than regular curriculum and give benefits to student who wants to do more activity with their talent in the field of computer technology & networking. Club also focuses on personality development programs through live activities from industrial environment. The CI-club of information technology deals with tremendous activities which support student performance from current technology scenario, it also bring student closer from various background to help others. The main part of this club is to enhance the vision of each and every student seeking toward specific knowledge. Our daily routine provide only course curriculum but this club helps in understanding deep knowledge toward industry like exposure in the field of Development, testing & coding. Club also give student more power to prove themselves in their field of networking, ethical hacking and covering a space from current terminologies. Different quiz from various computer science field make student more potential toward their domain knowledge. Ethical hacking understanding & concept evaluation. Aptitude, General knowledge & Reasoning Question practice papers for skill enhancement. 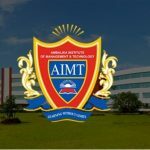 Study material-related to subjects (covering all IIT & NIT slides). Networking Fundamentals for exposure towards information technology. Gain attention from social networking sites with rich source of information.